WOW is the response you will have as you enter the leaded glass door of this home. The view of Lake Swan from the enclosed fully extended Florida room is breathtaking. The kitchen has newer appliances, tile flooring, formica countertops, and a closet pantry. The master bathroom has a walk-in tub and high rise toilet. The 2nd bathroom has a tub and shower with grab bars. The 2nd bedroom is opened to the view of the lake. It has a pull down closet with an ironing board and iron. The home has hurricane shutters in the front of the home and hurricane sliding windows across the back of the Florida room. The Great room is large enough for both a living and dining room. The inside utility room has a washer and dryer. The A/C has been totally updated in August. The plumbing and electric box are both up to code for insurance. Solar tubes are in the Great room and 2nd bathroom. 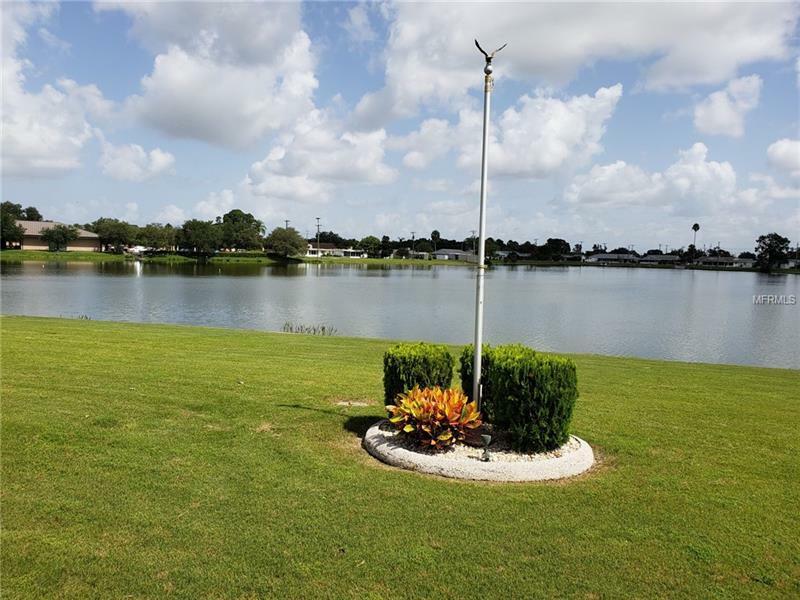 Metered sprinkler system uses reclaimed water from the lake. Sun City Center, a 55 plus community, is conveniently located to the beach, cultural events, sporting events, and shopping. And just 90 miles away from Walt Disney World. Come and enjoy paradise in this beautiful Florida home. Additional Water Information: $35 annual lake fee. Pet Restrictions: 2 pets permitted; no size limit.